The story of Shehzadi Ka Rauza goes that Mehrunisa- the daughter of the Governor, fell in love with the Army Chief. The father did not approve of the relationship and asked his men to kill the chief where he was sent out for war. The army chief survived the attack and came to this spot where he let out a cry for his lover. The daughter reached the place only to find the chief taking his last breath. She committed suicide here. The father built a beautiful monument at this spot where both the lovers are buried together. Love this? 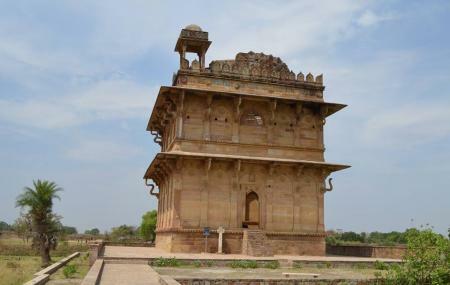 Explore the entire list of places to visit in Chanderi before you plan your trip. Fancy a good night's sleep after a tiring day? Check out where to stay in Chanderi and book an accommodation of your choice. How popular is Shehzadi Ka Rauza? People normally club together Rajghat Dam and Chaubisi Digamber Jain Temple while planning their visit to Shehzadi Ka Rauza.